One weekend while I was writing my papers for Graduate school, I decided to watch a movie on Netflix called 'Godsford Park'. The movie was relaxing with great dialogue. The movie exposed me a whole different world than my own. Looking for another movie to watch I figured I would try out 'Downton Abbey' a series whose writer was the same as 'Godsford Park'. After watching two episodes or 'parts', I ordered the first two seasons on Amazon.com. Being an English major and a fan of Charles Dickens, Emily and Charlotte Bronte, as well as Jane Austen I probably should not have been surprised that I become a fan of 'Downton Abbey'. 'Pride and Prejudice' by Jane Austen is one of my favorite books of all time. 'Downton Abbey' asks the same question that 'Pride and Prejudice' asks which is 'Is having pride in yourself the same as being prejudice towards others?' 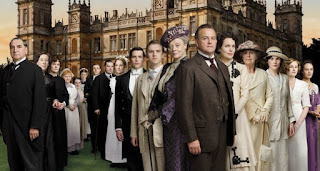 The best part of 'Downton Abbey' is the fact that regardless of the wealth of the main characters, they are accepting of others who are different. 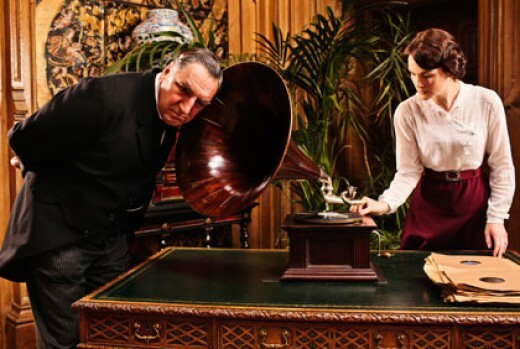 'Downton Abbey' starts in the beginning of the 20th Century with the Titanic sinking. For me, it seemed to parallel our own time when the 21st Century began with September 11th and the twin towers being destroyed. A new phone, phonograph, and toaster in the house are treated with as much distrust as some people treat a computer or iPhone. 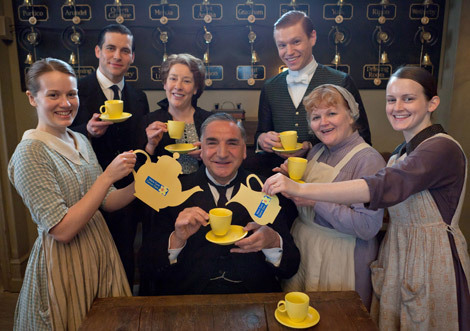 'Downton Abbey' and the characters try to become accustomed to rapid change as we are trying to do today. Lord Grantham reminds me of Tevye from 'Fiddler in the Roof'. Although he has his traditions that are his moral compass he invites those with different opinions and social status into his home and life. An example of leadership Lord Grantham shows compassion for the people who work him thereby, gaining loyalty. 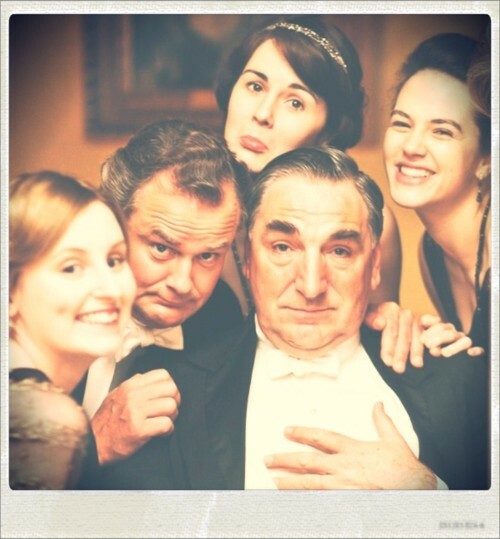 Lord Grantham has three daughters. There is Mary, the equivalent of Lord Grantham presiding over her two sisters Edith and Sybil. 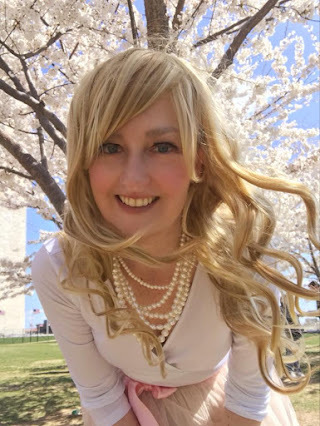 Realistic, pragmatic, and unemotional she is also elegant as well as her father's confidant when the situation calls for it. There is an upstairs and a downstairs. The show has stories that affect the Grantham's and the servants. Sometimes there are story lines that intertwine the two. 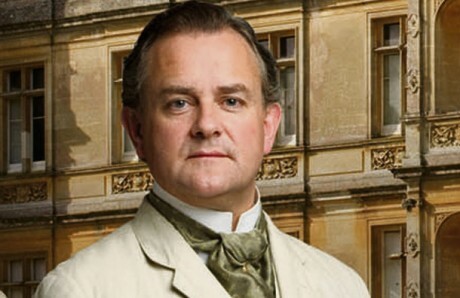 Carson is the head butler and is Lord Grantham's equivalent with the servants who is in charge. He is strict but fair. 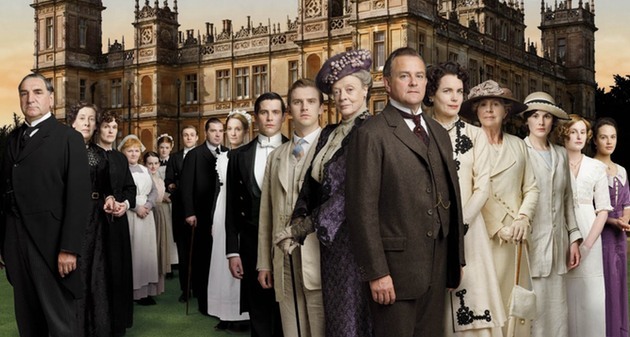 A Sophisticate watches 'Downton Abbey' because she is brought back to a simpler time. Yet, as the storyline unfolds she is aware that everything has stayed the same. Traditions are hard to let go of, change is hard, yet rich or poor she must still must continue on and do her best to survive regardless of her circumstance or situation. Overall, the characters and the story line bring a Sophisticate back to a different time. A time when everything seemed different, yet at the same time have remained the same.